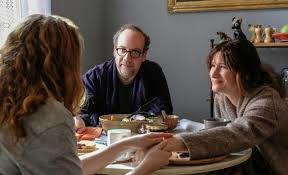 When you have actors who are at the top of their considerable games — like Kathryn Hahn and Paul Giamatti — and a writer/ director like Tamara Jenkins with a firm grasp of her purpose, even the mundane can become special. So it is withe the independent film, “Private Life,” observing the far from razzmatazz tale of a literate NY couple with fertility issues and their quest for parenthood. The emotions, conversations, relationship twists and turns are all very real here. So much that, as close as they feel to actual life, they prove revelatory. This is a slice of life film, devoid of contrivance. It’s also quite funny. The characters and the exigencies of their daily lives fascinate, simply because of the craft of the filmmaker and portrayers. There are several visuals that are so subtly resonant, including a final one shot without dialog. Which may be the best final shot I’ve seen in a long while. Every once in awhile, there’s a documentary that covers a fascinating subject, about which you more than likely had no prior knowledge. If you are like me, you probably have never heard of the theater genre known as “industrial musicals.” Lavish singing and dancing, big budget stage productions meant to be seen once in front of a sales meeting for, say, Johnson & Johnson, or an annual meeting of Chevy dealers. Well, they existed big time in the post WWII economy, and to some extent still do. And, David Young, a comedy writer on the Letterman Show for years, became fascinated with this subgenre of the American stage in the 90s. This illuminating and truly charming documentary follows his path as he learns more and more about this niche art, eventually tracking down those who created it. 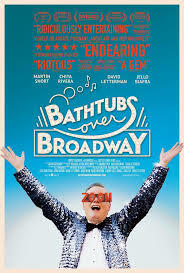 “Bathtubs over Broadway” is funny and sweet. 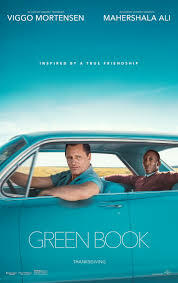 So what we have here — not “a failure to communicate” which is a line from a truly worthy film — is the flick that slipped away with the Oscar for Best Picture, much to the chagrin and disbelief of many. That many includes critics, cineastes, Spike Lee, and a portion of mainstream movie goers. There are lots of reasons why this was a surprising winner to many, and why there are legitimate plaints about the film’s worthiness. Make no mistake, “Green Room” is not without charm, as trite and manipulative as it may be. I found myself cringing — literally — at some of the scenes, all of which anyone above the age of, say, three years old, could see coming ahead of time. I would call out to myself — quietly of course — are they really going there? To find out within moments, the answer was Yes. Always. Nary a trope was left in the cutting room. But, all that naysaying notwithstanding, I succumbed. And, really didn’t hate myself for enjoying it. My podcasted take on the film is more specific, nuanced, and, to be brutally honest, quite entertaining. It would seem a given that “RBG,” the documentary about Supreme Court Justice Ruth Bader Ginsburg, will win the Oscar for Best Documentary. But, ever the contrarian, I would posit that there’s a better documentary nominated, about an achievement even more noteworthy than Justice Ginsburg’s ascendency to the highest court in the land. Some of you may have heard of Alex Honnold, while many of you have not, or have but a vague notion of reading his name. He climbs rocks. He climbs rocks better than anybody. And he achieved something many in the know were sure would not ever successfully happen. Without any ropes or equipment, using only his hands and feet, he climbed the most daunting rock on the globe, Yosemite’s El Capitan. 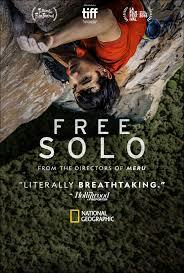 This taut film “Free Solo” documents his life, his preparation, and the climb itself. Which was filmed by a crew, world class climbers all themselves, tethered precariously on El Cap, as he ascended. Though we know Honnold did it, it is to the filmmaker’s credit, that tension reigns anyway. This is a captivating film putting on display what is arguably the greatest athletic feat ever. 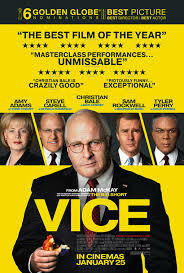 It’s available on Amazon Prime, and perhaps elsewhere. 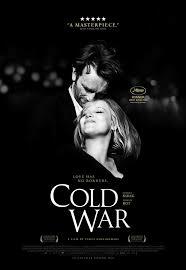 How enchanting that a resonant tale can be told in 89 minutes, in black & white on a screen with old school squarish aspect ratio. It is a movie which crisply and uniquely tales the tale of love and the politics and culture of the time and place. We never quite learn the whys and wherefores of Zula. Or of her lover Wiktor. Or, even the how did they come to fall in love. But that mystery is all part of the fascination with this unique cinematic adventure. No, not Shakespeare, Edward Bulwer-Lytton actually from a play he wrote about Cardinal Richelieu, or so I’m advised, but it remains a cliché of consequence nonetheless. Meaning, of course, there is this truth: That there are circumstances where combat in its classic sense isn’t as effective chronicling a situation which the world needs to know about. Realizing that the situation was dire, that most inhabitants of the enclave would not survive, that there wasn’t any manner to match the German captors with firepower, a group formed to gather diaries of first hand accounts of the terror, photos, written accounts, journals, anything that could provide future generations and historians a realistic look at the horrors taking place. All done clandestinely, for obvious reasons. It was an endeavor as audacious as it was courageous. 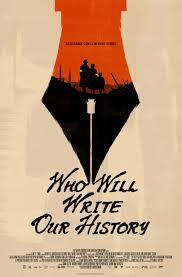 Roberta Grossman’s documentary, “Who Will Write Our History?,” using the words of those who were there, newsreel footage and some reenactment, tells the fascinating and important tale. We learn how the group met its goals, how their work was retrieved from the rubble after the war. The well-crafted and intriguing movie is among many at this year’s Jewish Film Festival, which starts February 7..
“Who Will Write Our History” will be shown at Bellarmine’s Wyatt Hall at 7:30 on Saturday, February 9. 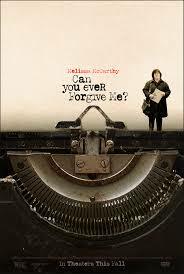 For further information on this film and the others being shown, google up Louisville Jewish Film Festival. It’s about this peril that all of a sudden inexplicably enshrouds the globe and any human that looks at whatever it is immediately commits suicide. So the lucky few who survive the immediate onslaught take to living indoors with the blinds pulled and the windows shuttered. The thingamajig can’t get inside, or so it would seem. And when those folks who do survive go outside they wear a blindfold so they won’t look at, you know, it. Whatever it is. Which makes things like driving, or playing pitch and catch with your kid problematic at the very least. 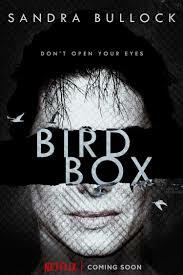 So, the question becomes whether Ms. Bullock will survive? And what about the kid she is carrying when the film begins? Sooooooooo, there’s the overview without spoilers. There were a number of performances by women this year, some that grabbed my attention more than anything else at the movie house. I also reveal my favorite comedy and favorite documentary. I’d exposit more about all here. But, ya know, I’m tired. It’s been a long day. 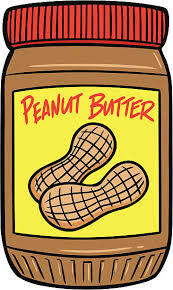 So, if you’re curious, you’ll need to click below. There are many who pay attention to my reviews who prefer them written, and would rather not listen to my podcasts. I try to accommodate them. Well, kids, this time around, those folks are SOL. There was something about the video recording of Bruce Springsteen’s autobiographical Broadway show — the way he masterfully tells a story perhaps — that said to me: c d, your review needs to be you talking. For reasons you can hear when you listen, I was taken by this performance far more than I thought I would be in advance. 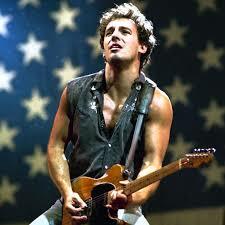 I am far from a Springsteen cultist.